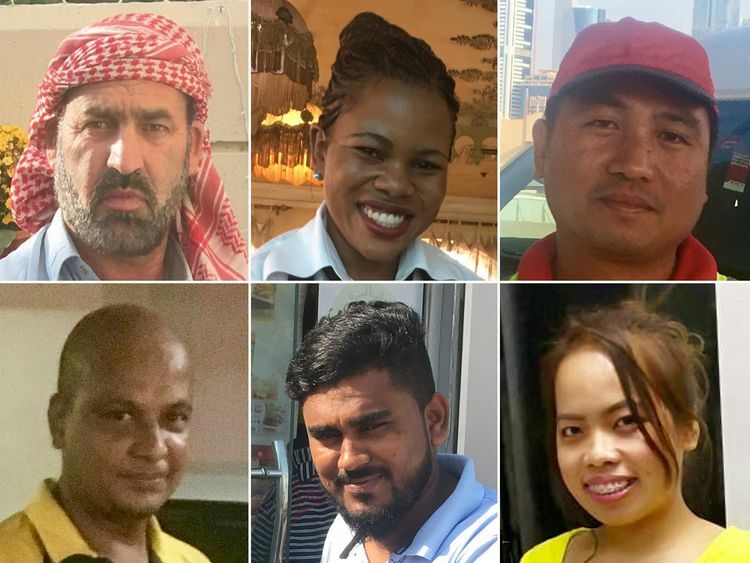 Dubai: They are the invisible support system of our daily lives — unsung heroes who add so much value to society without expecting much in return. As Dubai, the city of dreams, surges on, an army of delivery boys, waiters, waitresses, petrol attendants, beauticians, janitors, gardeners, car cleaners and more work unassumingly to give us a smooth, seamless experience. Gulf News zoomed in on this community that lives on the fringes, braving tough routines and modest salaries, but never giving up on their dreams. Twenty years ago when Khan, a high school graduate came to Dubai to join his older cousin, he hoped to eventually save enough money to open his own grocery store back home in Pakistan. “I’m a natural gardener as farming is what I did back home. We cultivate corn, rice and vegetables, so when I was told I could do gardening on an agricultural visa, I flew down to Dubai,” said Khan, who first came to Dubai in 1999. 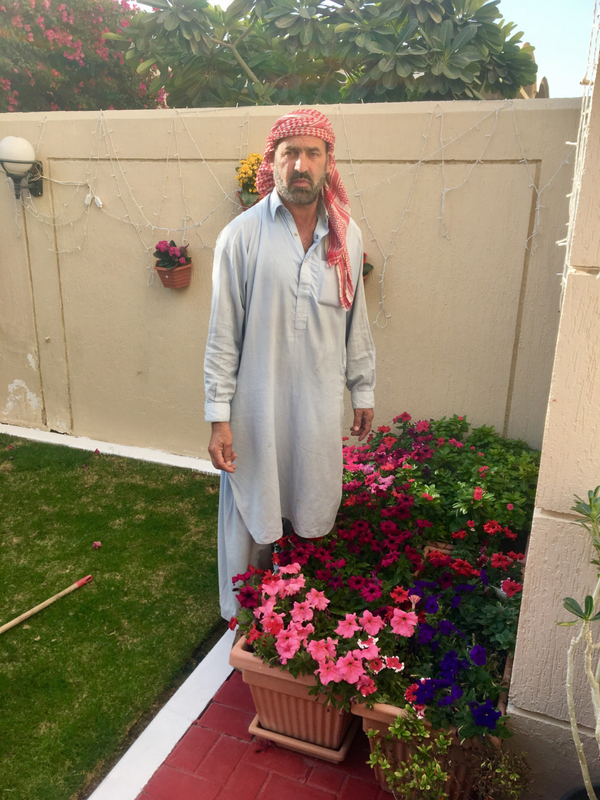 He earns between Dh2,000-3,000 doing regular gardening jobs here and sends home between Dh1,000 and Dh1,500 a month to his wife and three sons who live back in Peshawar. Starting work after morning prayers, he cycles through Satwa, and prunes, mows and trims the grass and the foliage, before planting new flowers and tending to vegetable patches in the villas around Jumeirah. “I complete nearly 80 per cent of my job by lunch time, cycle home to have lunch and rest. At 5pm I return to finish my remaining jobs and return home by 7pm. I hope to save enough someday to be able to open a shop selling grains, sugar, oil, vegetables and other provisions,” he added. 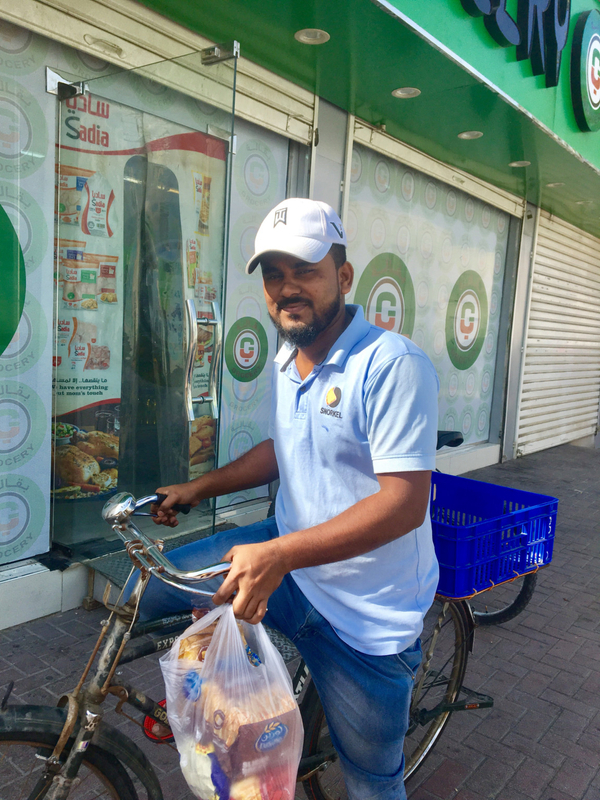 In Dubai since 2017, Waliagath, the eldest son of four decided to leave home to financially support his family, taking up a job as a grocery delivery boy in Jumeirah. “I wanted to study further after high school. However, being the eldest I had to lend a helping hand to my father who is a fisherman,” said Waliagath, who is looking to get his two younger sisters married and see his younger brother through school. He sends his entire salary of Dh1,200 home. “My sponsor provides me food, accommodation, phone recharge and small treats. I depend on the tips I get during deliveries,” added Waliagath, who starts his day at 10.30am and ends by 12.30am when the store closes. For now, I’m happy that I’m able to meet my family’s financial needs,” he said. 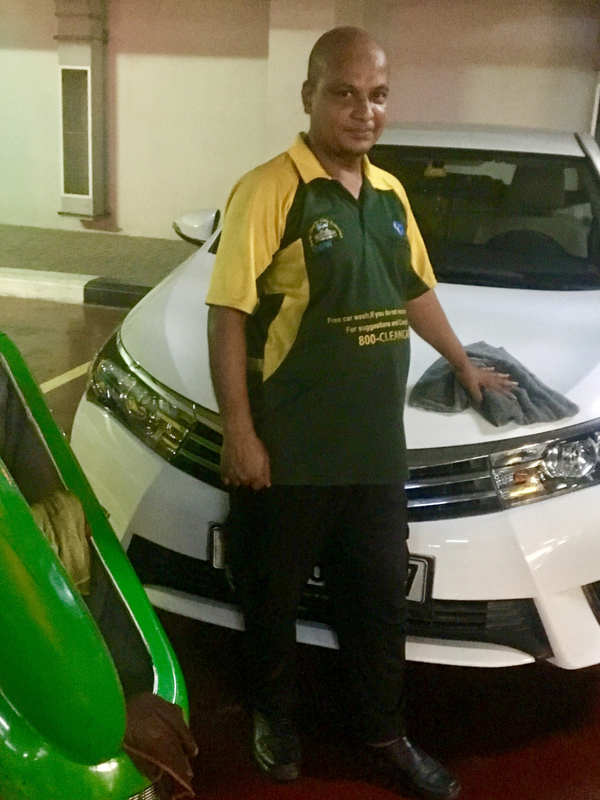 Walid cleans cars, a job he has been doing for 12 years. Coming to Dubai on a visit visa and landing this job, Walid harbours no unrealistic dreams. He has a modest restaurant in his village that is doing well. “But that was not enough to feed five mouths and so I asked my younger brother to run that, while I moved here,” he added. Walid hopes to find a suitable match for his oldest daughter Nasreen Sultana, 20, and his second daughter Khadijah, 18. “Saniya, my third daughter is only 13 and in school, while Naeem, my youngest child and only son is five and has just started school. 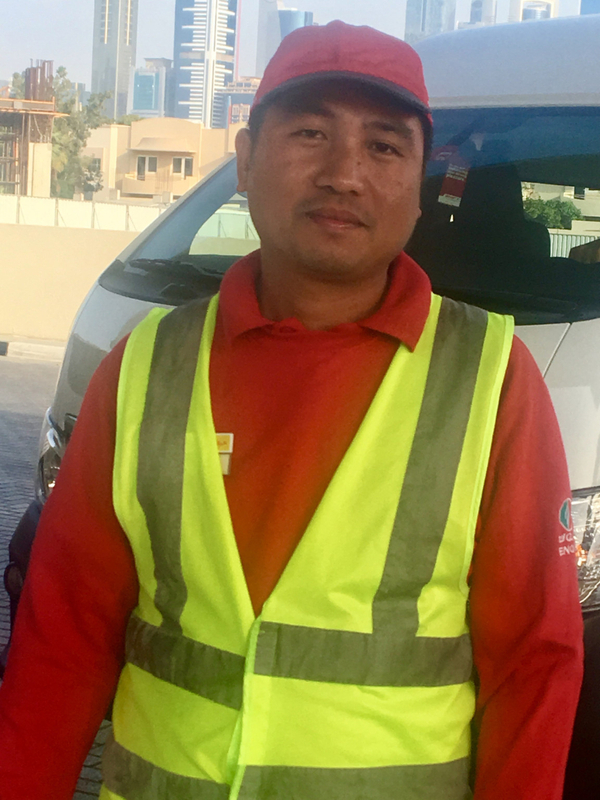 I know I have to first fulfil all these responsibilities before setting up a large restaurant,” added Walid, who sends home Dh900 a month and stretches the remaining Dh300 to meet his needs. A diploma holder in business administration from Makere University, Kiggundu had dreams of becoming an entrepreneur. 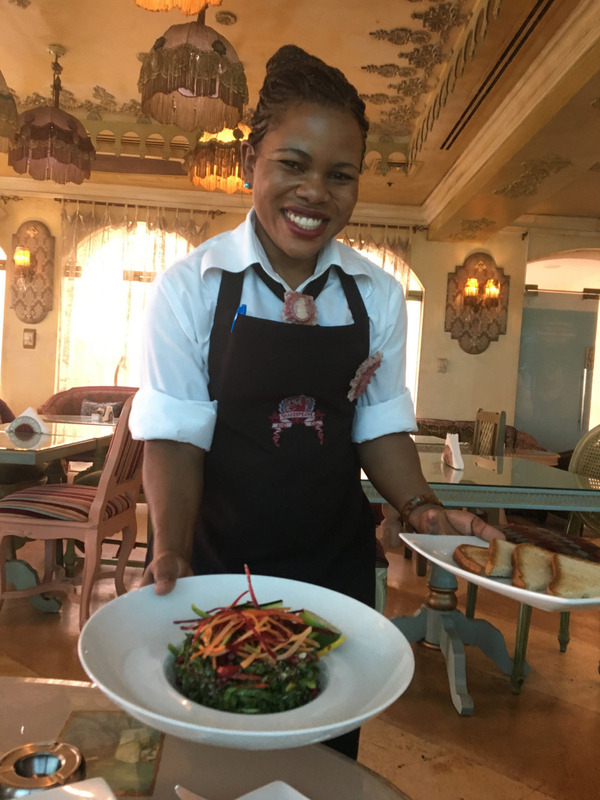 However, the family of four siblings needed support so Kiggundu and her younger sister flew to Dubai in 2017 to work for a popular cafe chain. Maggie, as she is popularly known, serves coffee with a smile and earns Dh1,000 and some odd tips every month. “I hope to save a little and return to Kampala and start my own business soon,” she said. 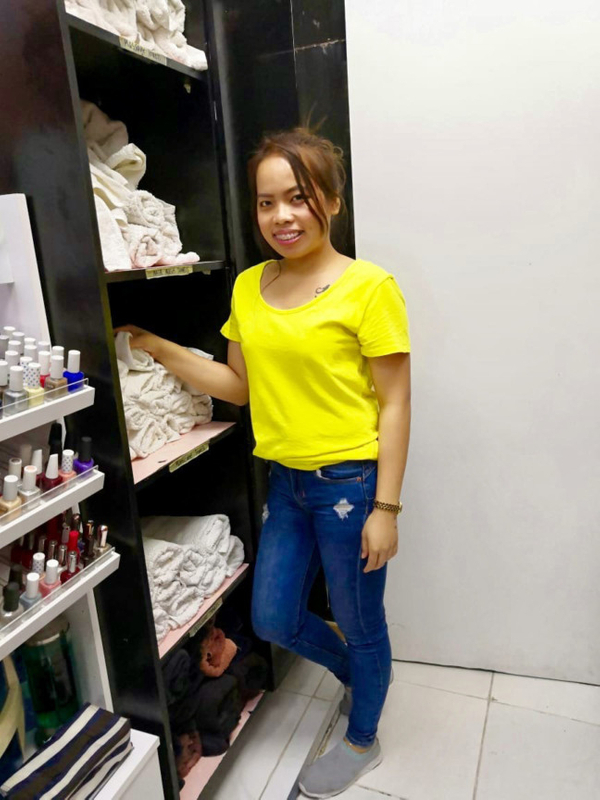 Batangcor has spent five years perfecting the art of being a consummate beautician and nail technician at the salon where she works nine hours a day. She arrives at 9.30pm, leaves by 7.30pm, and is in high demand for her manicures. “After my high school I did a six-month beauty training course in the Philippines and flew to Dubai to support my family,” said Batangcor who lost her mother and looks after her father, his second wife and many half-brothers and sisters. “I wanted to go back to school and study to be an accoutant which is a high paying job. I did a short secretarial diploma too, but never got a job as a secretary,” said Batangcor, who earns Dh2,500 and is able to save Dh300 a month after sending some home and spending the rest on shared accommodation and food. In Dubai for over 11 years, Mungar, who is a mother of an 11-year-old son and whose husband is partially sighted, is struggling to meet the needs of her family. 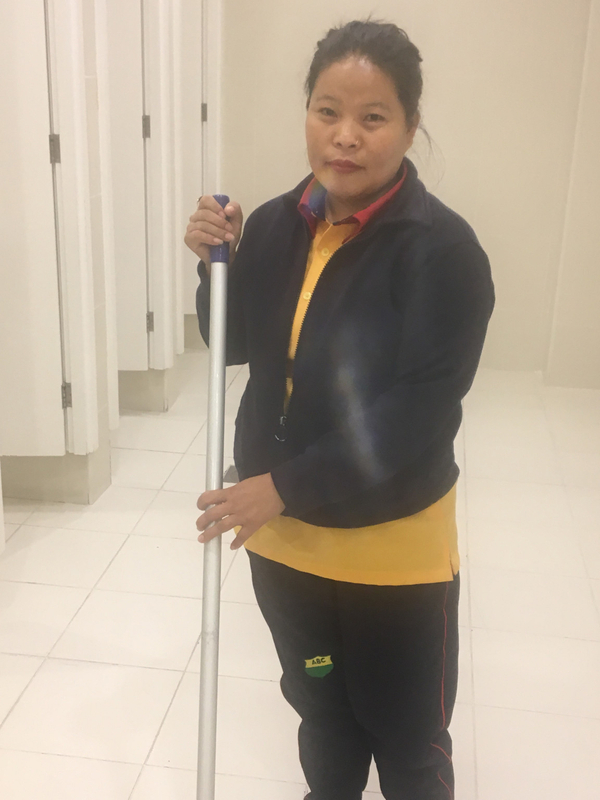 A janitor with a cleaning company, she works 12 hours a day at a mall washroom and has taken on an additional six hours to fill in for an employee on leave as it means being able to make some extra cash. She is paid Dh1,000 a month for 12 hour daily work, but with the additional six hour schedule is able to make a little more. “Having a home was my dream and I fulfilled that, but now I have to clear my debt (of Dh44,000). I keep Dh200 for myself and send the rest home for my family. My only goal now is to repay the loan and afford a good education for my son,” said Mungar.